Just minutes ago the Land of fire revealed it Eurovision act and entry for the 64th edition of the Eurovision Song Contest. Chingiz Mustafayev will represent Azerbaijan in Eurovision 2029 and will perform the song Truth in Tel Aviv next May. Early reports by INFE Azerbaijan that wanted Chingiz to represent the country in the next Eurovision contest. Chingiz received a lot of fame after winnng Yeni Ulduz in 2007 which was one of the most popular shows on Azerbaijani television. From the age of 16, when he won the show, up to now he has managed to become an established artist in the country. Both act and song were selected internally. Chingiz was selected after a number of auditions of several acts while the song was selected after an open call iTV made for entries. Since its debut at the Eurovision Song Contest 2008 in Belgrade Azerbaijan has competed every year, having its biggest success in 2011. Only after 4 years of competing at Eurovision, Azerbaijan managed to win the contest with Eldar and Nikki performing “Running Scared”. As a result, the Eurovision Song Contest was held in Baku for the very first time in 2012. Last year the broadcaster Ictimai internally selected Aisel as their representative in Lisbon. It marked the very first time Azerbaijan did not participate in a Eurovision final since their debut in 2008, as Aisel’s entry “X my Heart”, composed by Dimitris Kontopoulos and staged by Fokas Evangelinos, finished 11th in the first semi-final with 94 points. 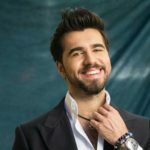 Azerbaijan: Is it Chingiz Mustafayev for the Land of Fire?